Audio Video Experience specializes in providing comprehensive audio and videos solutions for homes and businesses that represent the state-of-the-art in the industry. Our unique services deliver the latest in everything from home theaters and outdoor sound systems to full smart home automation or business control of security, lighting and thermostat within a completely customized, integrated system. You get the luxury audio/video/smart home experience you’ve dreamed of with the power to control it anytime and anywhere with the push of a button. When you’re looking for ways to enhance your lifestyle and home or business atmosphere, Audio Video Experience has the smart technology to create an environment that’s not only safer and more efficient, but also elegant, exciting and easier to manage. Our smart home automation system installation services eliminate the time and expense of piecing together high-end audio, video and smart home products that ultimately fail to provide the unified system integration or performance quality you desire. Our knowledgeable and friendly staff will work with you to develop a system for your Brentwood home, Nashville office, Franklin business, or commercial facilities across Tennessee that meets your highest expectations. 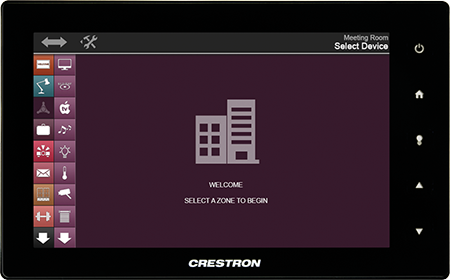 Our integrated electronic solutions deliver a fully automated system that provides the ability to manage media, temperature, lighting, shades and more from a user-friendly, handheld home control system. Achieve a higher level of elegance and aesthetics with a custom home automation system that controls lighting and shades to continually optimize the ambiance and overall comfort of your home or office. Transform any area in your home into a multipurpose media room with custom features ranging from hidden screens and speakers to motorized window treatments and specially designed layouts and acoustics. Bring a new level of comfort and enjoyment to your outdoor spaces with the right combination of music, video, lighting control and additional amenities suited to your lifestyle and adjustable to virtually any occasion or mood. Control every aspect of the lighting and sound for your commercial business with the touch of a finger on an easy to use keypad or tablet. From office computer network upgrades to business security systems, we can handle all aspects of business and boardroom automation.